Are you taking the adequate measures to prevent injuries, disasters or fees? Do you winterize your home, or do you just wait for the accidents to happen as the temperatures drop? Most people don’t know what to do to prepare for the change in weather, so they resemble sitting ducks as inclement weather heads their way. Fortunately for you, there are ways to be proactive in preparing for winter so that you are not, in fact, stuck in a tough situation when the snow and ice rolls around. A full pipe is going to burst and become a big problem. Why? Water hardens and expands when it forms into ice, which becomes a problem when it’s confined within a solid surface like a pipe. For that reason, you’ll want to drain all the water from any outdoor faucet or hose. This will ensure that there’s no way for a pipe to burst. In case you miss one, or in case you have one that freezes inside for an unforeseen circumstance, ensure that you know exactly how to cut the water off in the case of a burst. Pipes bursting often leads to flooding on the bottom floor – resulting in incredibly costly water damage. Fireplaces don’t just ready themselves for those dreamy nights with a hot cup of cider by a fire. You actually have to do it. Have a professional routinely inspect your fireplace or heating system to ensure everything is good to go. Did you know that not properly cleaning out your fireplace or chimney may result in a massive fire – and we’re not talking about a small, nice and toasty one that will keep you warm. Vents should be cleaned out and filters changed to ensure that the heat burns efficiently and safely, whether in a wood burning fireplace, gas burning fire, or central heating and air system. If you have a wood burning fireplace, don’t wait til after the first frost to collect your wood. Instead, this should be a year round process where you cut and store it, allowing it to dry adequately before burning. Stand by every window and door in the house… do you feel any air moving? Are there any noticeable drafts? When it comes to keeping your home insulated, warm, and energy efficient, eliminating any drafty areas is key. If you detect any iffy areas, it’s a great idea to go ahead and deal with it before it gets any worse, knowing that it’s going to save you more time and money in the long run. Replace weather stripping, caulk gaps in the trim or seams of the home, replace door stops and matting that sit below windows and doors. We guarantee you’ll see a major difference in terms of your energy bill, and your home will be much cozier without that pesky cool air sneaking in. If you live in an area where plenty of snow and ice will fall, you’ll want to prepare your outdoor area for safety. Make sure handrails are secure, and that you have a snow shovel, snow blower and sand to clear walkways. You should also make sure the lights outside are all new, as proper illumination may help prevent falling on slippery ice or obstacles. Lastly, trim away any overgrown or lingering branches that may be hovering over your vehicles. Snow buildup may cause a catastrophe in the way of downed limbs and that truly is the last thing you would want. As far as your lawn is concerned, the real preparation for a beautiful lawn in takes place in the late Fall months before the Winter comes. Aerate and seed your lawn, applying a winterizing fertilizer which will promote excellent growth opportunities in the Spring. Your grass may look terrible in the winter (who’s looking anyways? ), but you’ll see a major difference come Springtime. You’ll want to clean up and dry off your patio furniture in order to preserve it through the Winter for use again in the Spring. Cover up any furniture that will remain outdoors, and store any cushions in big containers in a garage or attic. Bring in any clay flower pots you may have, as many will swell and crack in the cold. By preparing around the home for winter, you’ll save yourself tons of time and money, not to mention a likely trip to the emergency room or paying heft costs and fees. 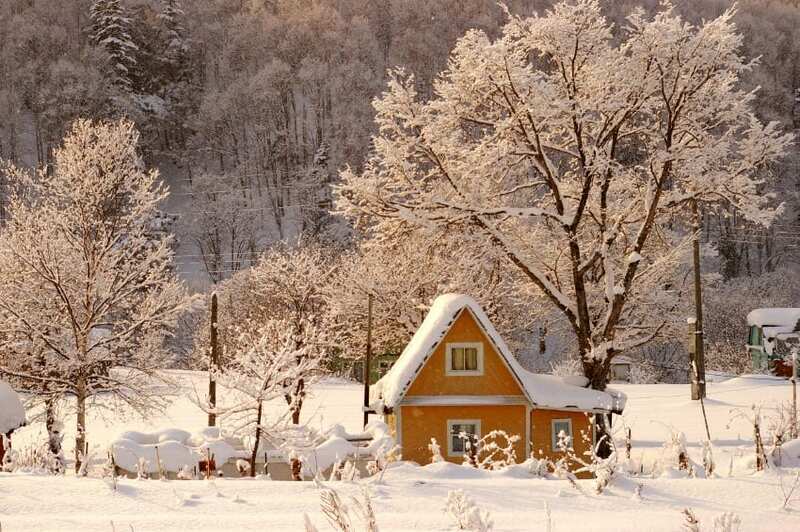 How do you make sure to get your home winter ready?